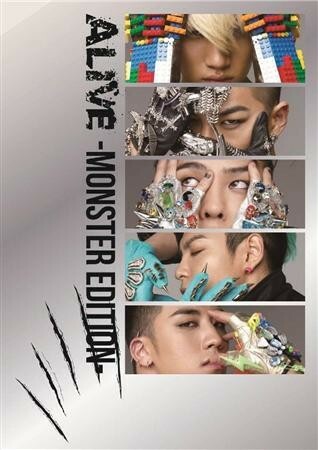 According to Big Bang's official Japanese website, the special edition of 'Alive' will include 3 new songs including 'Monster' is to release on June 20. The album is a special edition that will include new videos. New single 'Monster' recorded in Japanese is a song with sad piano melodies, painful lyrics, reminding listeners of Bing Bang’s hit songs like 'Lie' and 'Haru Haru.’ The new album also includes full version of 'Alive' intro and 'Bingle Bingle' in Korean written by G-Dragon as new tracks.